B-12 LINGUAL (60 tablets) Those who have clear-cut B-12 deficiencies naturally begin to feel far more energetic once the deficiency is corrected. But the claim over the years has been that even generally healthy people can benefit from B-12 supplementation, especially during periods of stress, fatigue or recovery from illness. It has often been used as a remedy for hangovers. in base of mannitol and natural cherry flavor. There is now good evidence that subtle B-12 deficiencies may be common in the general population. Newly developed and more sensitive tests have enabled researchers to see subtle deficiencies, even in the absence of symptoms long thought to be hallmarks of this deficiency such as pernicious anemia, characterized by insufficient red blood cells in the bone marrow. This may be the basis for claims made as to the energizing effects of B-12. 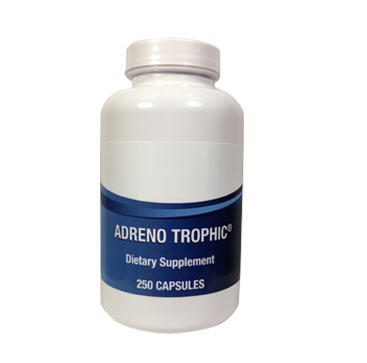 Those who have clear-cut B-12 deficiencies naturally begin to feel far more energetic once the deficiency is corrected. But the claim over the years has been that even generally healthy people can benefit from B-12 supplementation, especially during periods of stress, fatigue or recovery from illness. It has often been used as a remedy for hangovers. 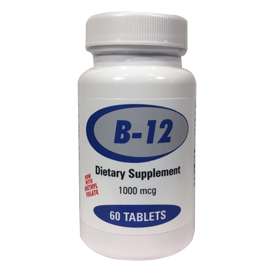 B-12 deficiencies are linked to deterioration of mental function, neurologic damage and a number of psychological disturbances. Impaired fatty acid synthesis, observed in B-12 deficiency states, can result in impairment of brain and nerve tissue. The insulation around nerve cells, the myelin sheath, is misformed in a vitamin B-12 deficiency and this contributes to faulty nerve transmission. Ultimately, neurological disturbances result from prolonged deficiency. Neuropsychiatric symptoms related to B-12 deficiency include abnormal gait, memory loss, decreased reflexes, weakness, fatigue, disorientation, impaired touch or pain perception. Up to 10 per cent of the elderly have fairly clear-cut B-12 deficiencies accompanied by these neuropsychiatric disorders. In a series of 39 patients treated with B-12 for such symptoms present in varying degrees and combinations, 100 per cent showed improvement, sometimes dramatic improvement. Serum vitamin B-12 levels are significantly low, and vitamin B-12 deficiency significantly common, in Alzheimerâs disease patients. There is often mistaken reliance on the presence of anemia to diagnose B-12 or folic acid deficiency. 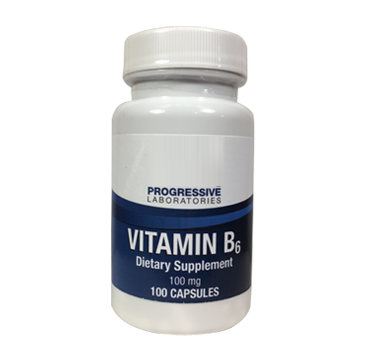 However deficiencies of either vitamin is associated with mental symptoms, including dementia, long before changes in the blood occur. In addition, changes in the blood may never occur, despite the fact that severe deficiencies are occurring in other tissues. Smokers have been shown to have abnormally low levels of B-12 and folic acid and components of cigarette smoke are known to reduce levels of these vitamins in the cells that line the lungs. In one research study, smokers given supplements of B-12 and folic acid for four months had significantly fewer cells classified as potentially precancerous than those given placebos. Those tested had been smoking a pack of cigarettes a day for at least 20 years. All had potentially precancerous changes in their bronchial tissues, but none had yet developed cancer. Tobacco amblyopia, a dimness of vision or loss of vision due to poisoning by tobacco, has been improved with B-12 whether or not the patient stopped smoking. Symptoms are blackouts, headaches and farsightedness. Because of its methyl transfer role, vitamin B-12 is active in the synthesis of the amino acid methionine from homocysteine and removal of excess homocysteine from the blood. Research indicates that mildly elevated levels of homocysteine in the blood may damage blood vessels and lead to hardening of the arteries. 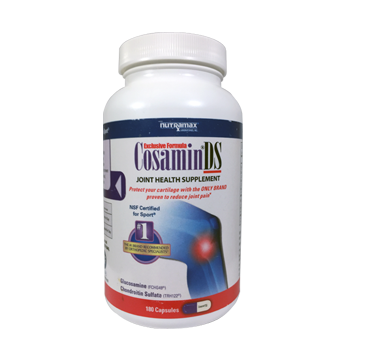 The coenzyme of B-12 is a carrier of methyl groups and hydrogen and is necessary for carbohydrate, protein and fat metabolism. Proper DNA replication and cell division are dependent on vitamin B-12 as a methyl group carrier. Recent studies have shown that vitamin B-12 in doses of 2,000 to 4,000 mcg. daily can effectively block most of the adverse reactions to sulfites, common food and wine additives. Many people are allergic to sulfites which can produce headache, congestion, drippy nose and bronchial spasms. If vitamin B-12 deficiency is not detected in the early stages, it may result in permanent mental deterioration and paralysis. Deficiency symptoms begin with changes in the nervous system such as soreness and weakness in the legs and arms, diminished reflex response and sensory perception, difficulty in walking and speaking (stammering), and jerking of limbs. In addition to anemia, deficiency symptoms include glossitis, degeneration of the spinal cord, loss of appetite, gastrointestinal disturbances, fatigue, pallor, dizziness, disorientation, numbness, tingling, ataxia, moodiness, confusion, agitation, dimmed vision, delusions, hallucinations and, eventually, âmegaloblastic madnessâ (psychosis). Absorption of vitamin B-12 is a complex process requiring the interaction of several macromolecules. 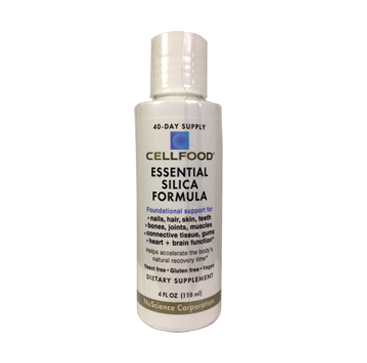 Deficiencies may be caused by decreased gastric secretions, common in the elderly, lack of the intrinsic factor in gastric secretions, parasitic infestation or excessive bacteria in the stomach or intestines as well as by inadequate intake of the vitamin. For this reason B-12 is often given subSublingually. SubSublingual tablets dissolve under the tongue where many vessels transport the vitamin quickly into the bloodstream. Individuals on strict vegetarian and macrobiotic diets are at risk for B-12 deficiency. Animal protein is the only source in which B-12 occurs naturally in foods in substantial amounts. It cannot be made synthetically, but must be grown, like penicillin, in bacteria or molds. Claims that miso, tempeh and other soy products are rich in B-12 have been convincingly refuted in a number of recent studies. WARNING: This information is provided for the health professionals only. This publication and the product contained herein have not been approved or evaluated by the Food and Drug Administration. This publication, and the product contained herein are not intended to diagnose, treat, cure or prevent any disease. The product relates to nutritional support only.